Debuggers are special modules that attach to existing code units. They do not produce additional units; instead, they provide specialized actions, accessible graphically via the Debugger menu in the UI client. The following picture shows two debugger units connected to an Android app. Note to developers: debugger modules offer a rich API. UI clients can only reflect those functionality partly. 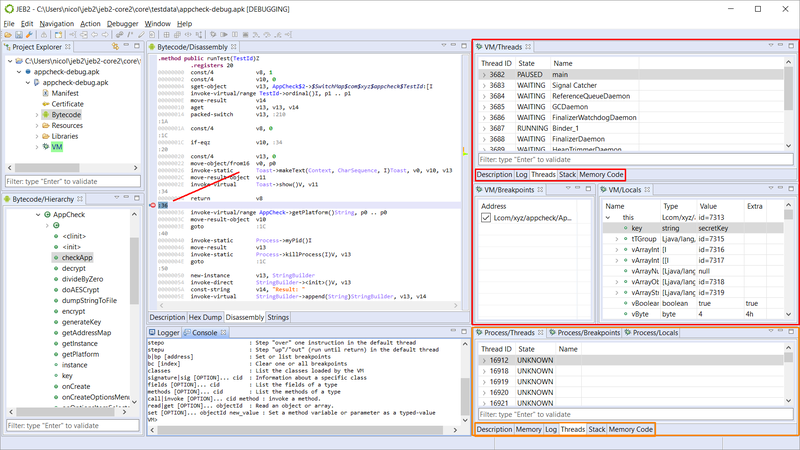 Visit the Resources sub-section for more information on how to use the debuggers API to perform advanced dynamic analysis of applications. Open a code view representing the code unit to be debugged. 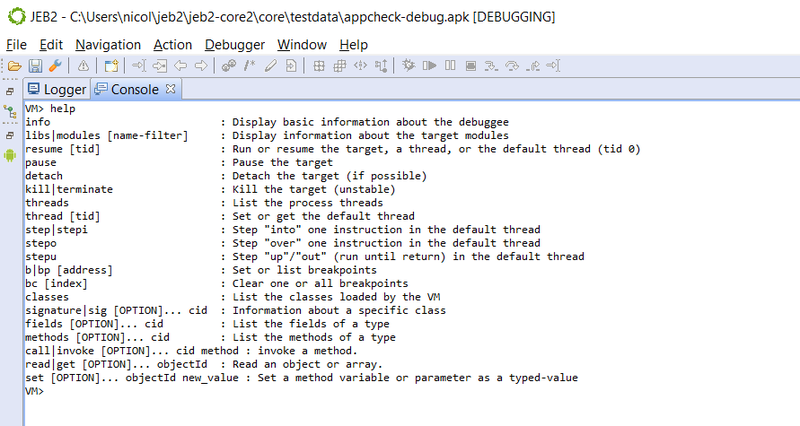 One or more debugger unit(s) will be created, depending on your target application. A breakpoint can also be seen, as well as the about-to-be-executed line of code. 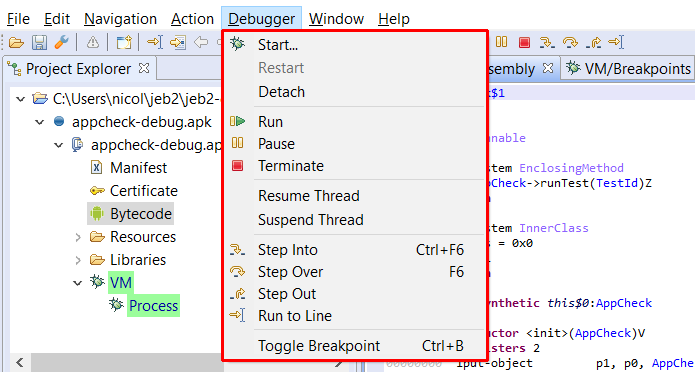 The basic commands are accessible from the Debugger menu. The live values of variables and registers can also be examining by hovering over an item representing them. 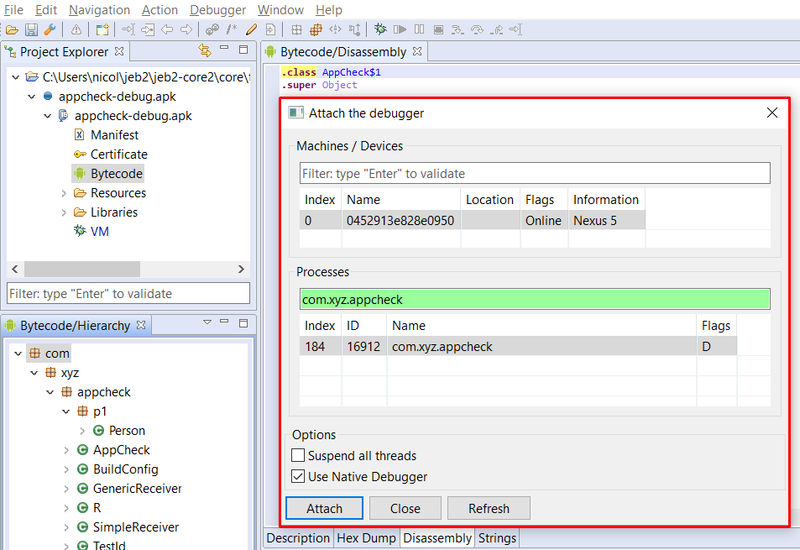 More: a detailed overview of basic debugging capabilities, specifically for Android app debugging, can be found on our blog. More: a detailed overview of the interpreters' features can be found on our blog. Also consult the Reference API Documentation.